Arka Sinchana is highly floriferours everblooming floribunda rose identified for garden display. It is a seedling selection from half sib population of variety Five Star. 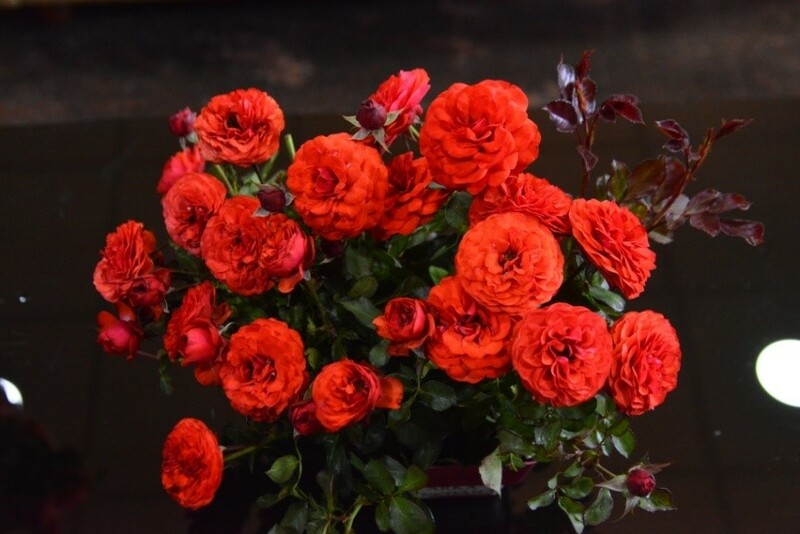 Flowers are bright red in color (RHS colour chart Red Group-43-A) with flowers produced in bunches. Young leaves are bronze green in colour turning to deep green as the leaves mature. Flowers are small in size (5.4cm), and filled with multiple petals ranging 40-45/flower. On an average it produces 1250-1500 flowers/plant/year.